To gain immediate access to our services call us now. 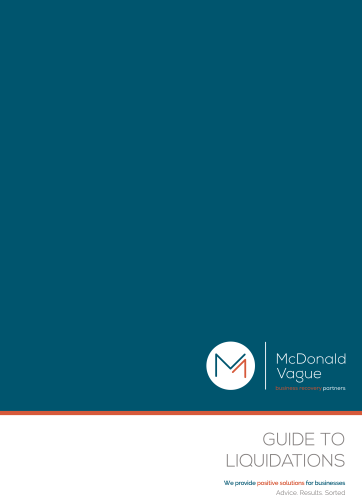 At McDonald Vague we know that running a business, managing the cash-flow and paying the bills can be a juggle. It can be particularly stressful and difficult to make decisions about your company’s future if you have debts you can’t pay. This is where McDonald Vague can help. We are an Auckland based specialist insolvency firm with connections throughout NZ, dealing in company liquidations. If you are a creditor making an application to wind up a company and need a liquidator to consent to act, we can help. Contact us now. We can act as liquidators of solvent as well as insolvent companies. If the directors or shareholders want to wind up the company affairs, cease trading, sell the business, close down or simply want out to reduce personal exposure, we can assist.